The Mulsanne: 40 hours of labor for the hand-crafted interior woodwork. PEBBLE BEACH, California -- Recession or not, British luxury icon Bentley Motors Ltd. pulled the wraps off of a new flagship sedan here Sunday that will retail in the United States for close to $300,000. For the debut, Bentley chose the elite setting of the Pebble Beach Concours dElegance where it could be displayed among a sea of collectors cars, including 1930s-era Bentleys. The Mulsanne (pronounced mull-SAHN) will go on sale next spring, and company officials have not yet divulged specifics about price or features. The car will require 40 hours of labor for workers to hand-make its interior woodwork. Bentley has suffered along with the rest of the auto industry over the past year. The brand swung to operating loss of 114 million euros ($163 million at current exchange rates) in the first half from a 85 million euro operating profit the year before. Bentleys assembly plant in Crewe, England, closed this year for seven weeks. It has cut back from two shifts a day to one. But until the global financial crisis, Bentley was being stretched thin by consumer demand from new retail markets, such as China and the Middle East. Bentley resisted pressure to add a third production shift to increase output. McCullough said the U.S. market will probably account for a smaller share of Bentleys global sales in the future. He said Bentley will likely sell only about 700 Mulsannes a year. It will be the first Bentley to be entirely designed, engineered and manufactured at Bentleys Crewe operations since Rolls-Royce acquired the company in 1932. The brand has relied on Rolls Royce models, or technology from current owner VW. 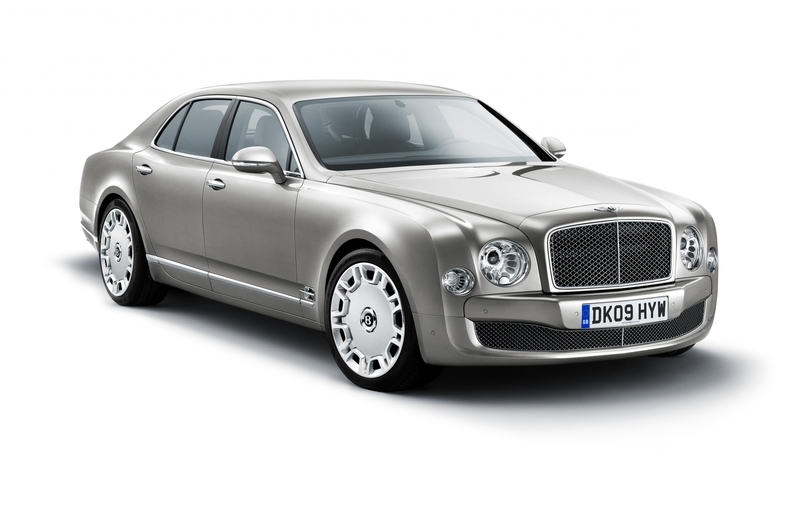 Though it will occupy the segment as the Arnage, Bentley officials are going out of their way to say the Mulsanne is a completely new creation, with barely a small basket of parts in common. Its V-8 engine has the same dimensions as the Arnages V-8, McCullough said, but every component of the new powerplant has been redesigned.